There’s no denying that the utensils we use, the presentation we choose and the serving methods employed affect how we experience what crosses our palate. That’s as true for lemon tart as it is for champagne. 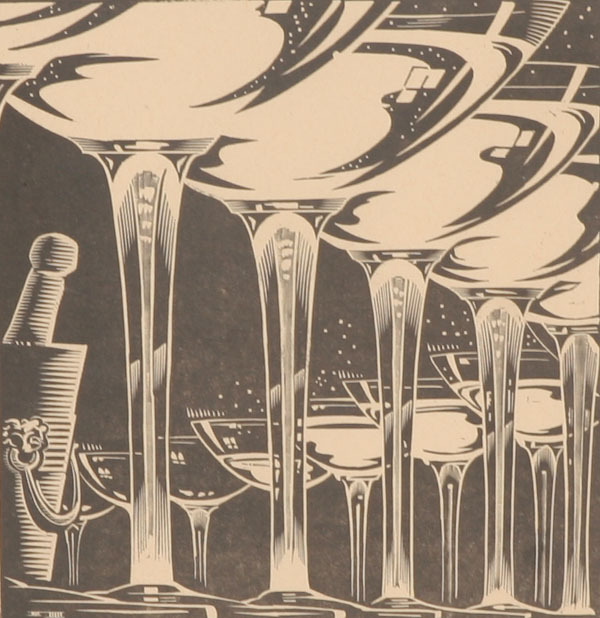 Champagne glasses, like those for many other beverages, have undergone a transformation over the centuries. From the mugs or goblets made of silver, to tall glasses, to the flat coupe glasses of the 19th century, to the delicately stemmed flutes that gained popularity in the 20th century but which are so difficult to wash without breaking. And now, more changes are afoot. 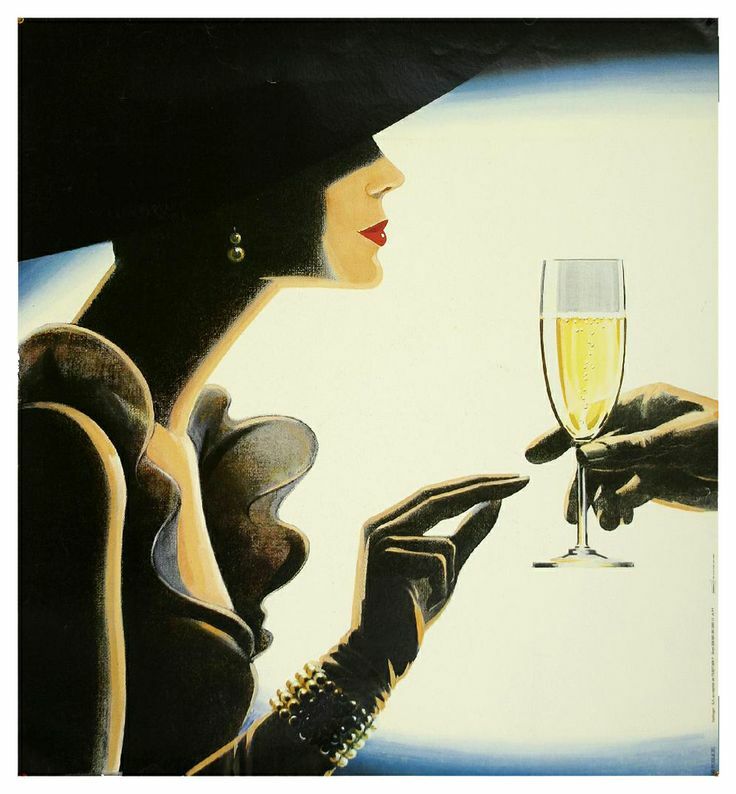 The flute, L’Instant Taittinger (1980s). Modern flutes have a ballooned lower section rather than the old-fashioned V or U shape. Riedl, an Austrian company with a history almost as long as Champagne itself, wants to change the way we drink the bubbly. 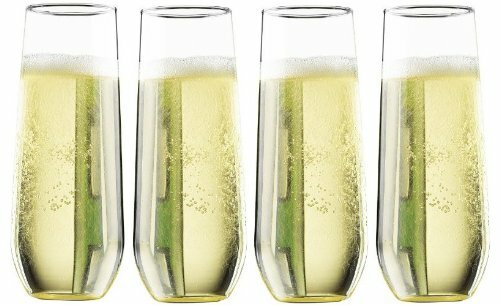 And not just Champagne – it wants to tailor specific glasses to specific sparkling wines. According to Decanter.com, Dom Perignon’s chef de cave, Richard Geoffroy, advocates a large Pinot Noir glass made by Riedl if one wants to fully appreciate his house’s Rosé. 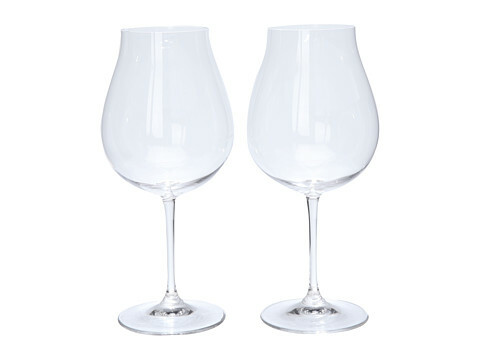 There’s some noise about stemless glasses. More practical, yes. But is Champagne really about practicality? Stemless flutes. These are listed on Amazon as ‘pomponne’ style, which I think is a misnomer. And what to make of the pomponne, the stemmed flute with no base at all, which cannot be set down until drunk empty? I feel this puts the drinker under pressure to finish a glass and find then find some safe way of putting down the glass without breaking it. There has to be some balance between practicality and extremism. Surely life is stressful enough without adding more to what should be a pleasurable experience? I guess the only way to approach this undertaking is scientifically, which I’m sure Riedl and other glass manufacturers have already done countless times. A blind tasting based not on several Champagnes, but on several glasses. Blindfolded judges who have glasses, all filled with the same Champagne, held to their lips by tasting assistants. 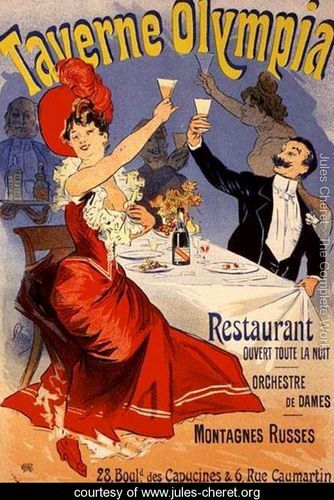 Only then will we be able to assess which glass truly favors a specific Champagne and brings it to its full flower. Here at ChampagneWhisky, we have our own preferences and habits when it comes to serving Champagne. 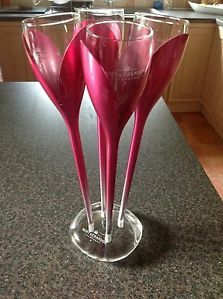 We have a set of stemless flutes, but I find that if I am deeply involved in a conversation, forget to set down my Champagne, or don’t drink quickly enough, the poor stuff goes a bit tepid. 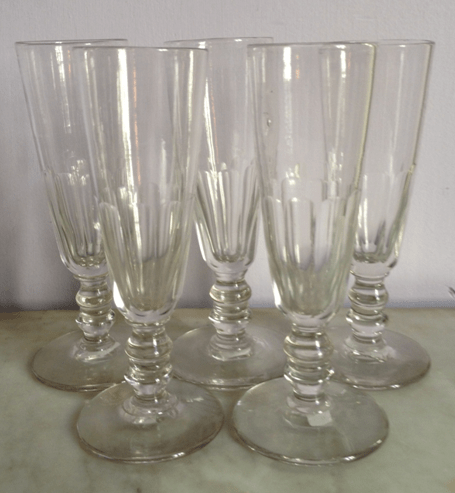 We have perfectly serviceable, long-stemmed flutes if we have more than eight guests. For under eight guests, we have a few collections of more or less matching 19th-century glasses which we have collected over the years. Fluted body, stout stems, like the ones above (which are not ours but are very similar). And for days when we just don’t care: Antique absinthe glasses. Big V-shaped gems for reckless consumption. Because sometimes, it just tastes better that way. Dom Perignon‘s chef de cave, Richard Geoffroy, is another fervent critic of the flute and advocates Riedel’s Vinum XL Pinot Noir glass for DP Rose. I agree about the stemless glasses. They look a little like drinking out of large test tubes but its the warm wine is what I don’t like. Also, I’d have to say that I like my champagne glasses clear – the bubbles and the colour is a big part of the experience. “Large test tubes”, I like that. I’m wondering if one is supposed to hold them up around the rim rather than at the bottom to keep the Champagne cool? Also, I agree on the clear glasses. The color is part of the whole experience.